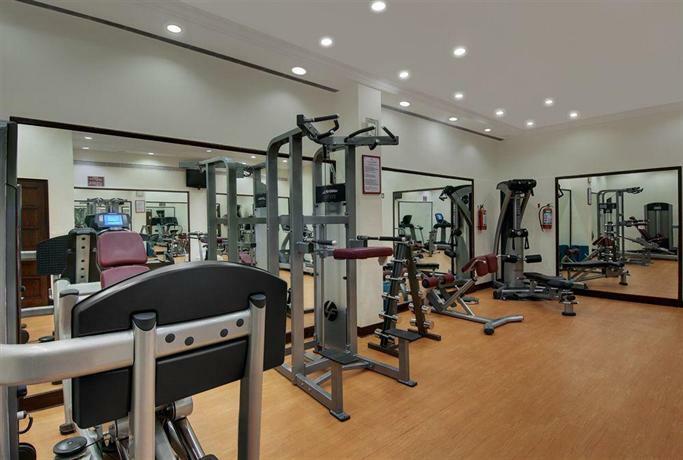 Overlooking the Varca Beach, Ramada Caravela offers a fitness centre, conference hall with internet facility, restaurants and bars. 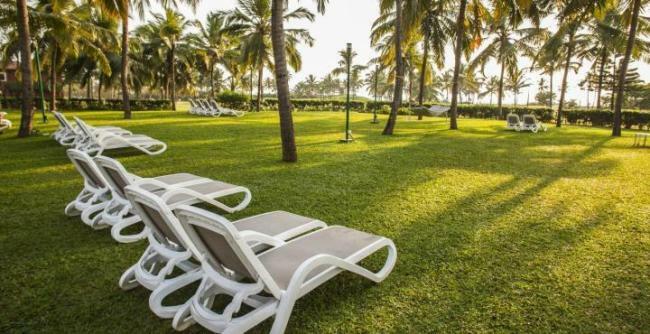 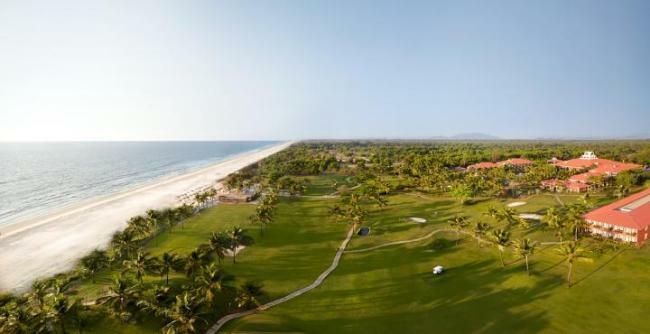 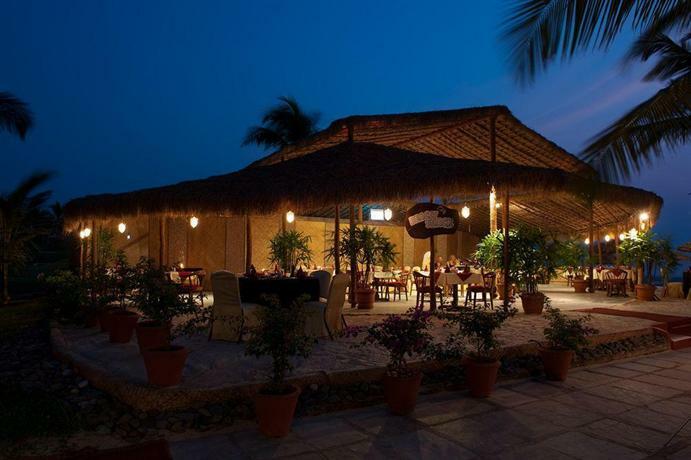 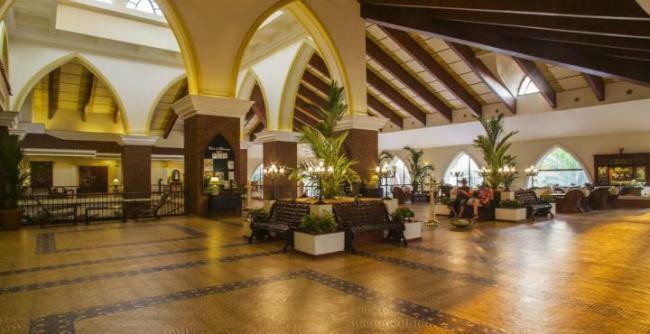 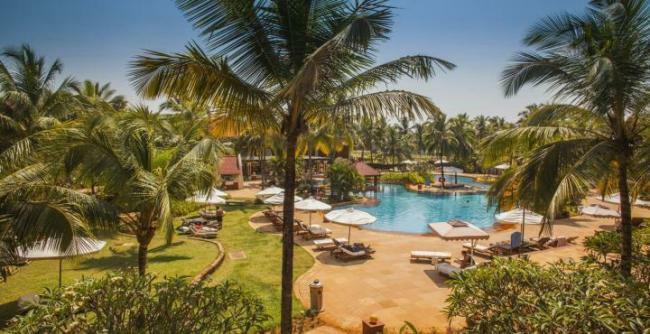 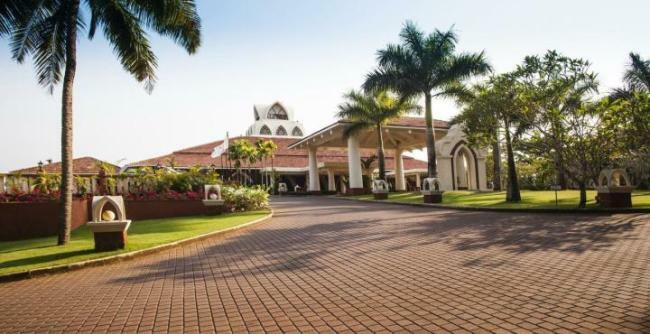 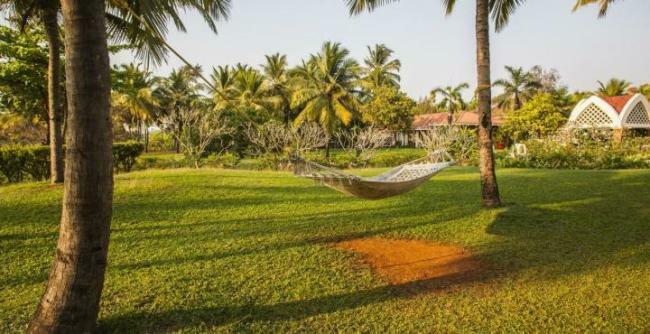 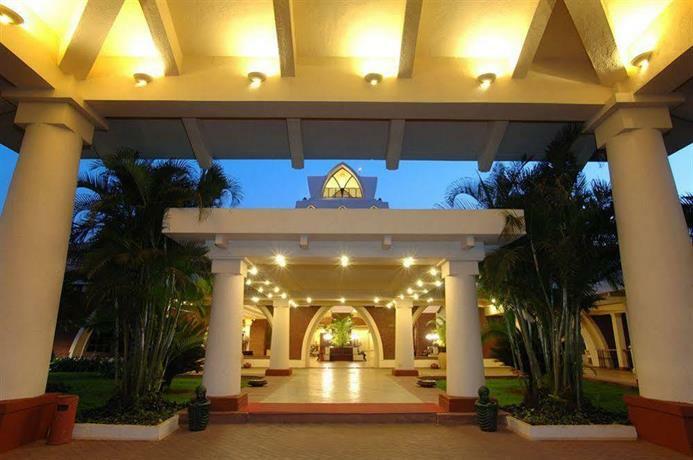 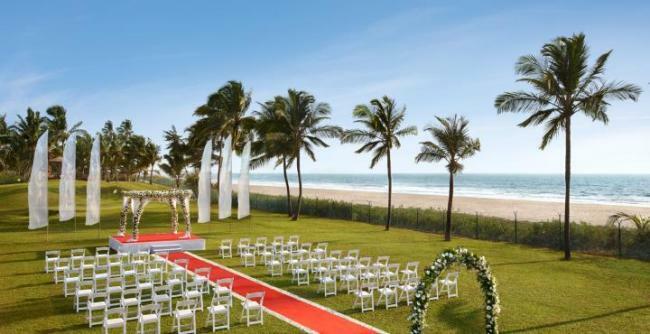 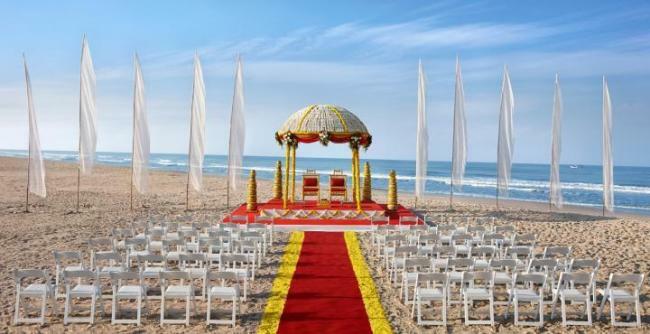 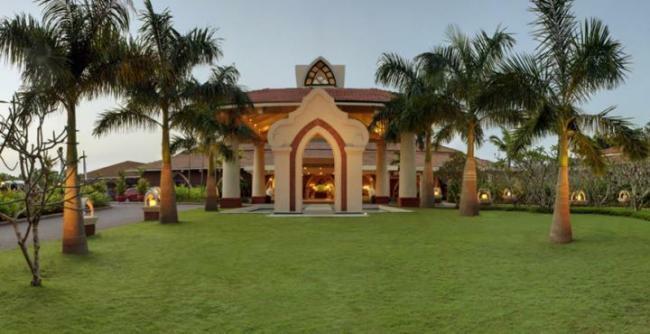 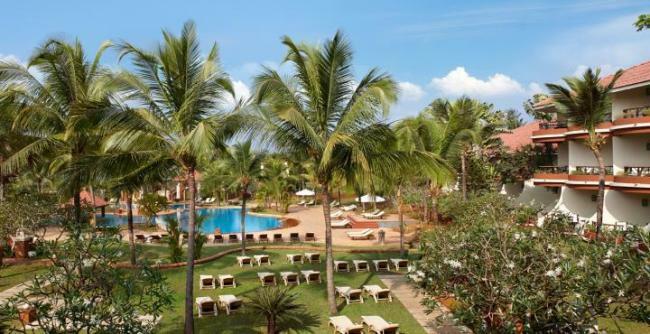 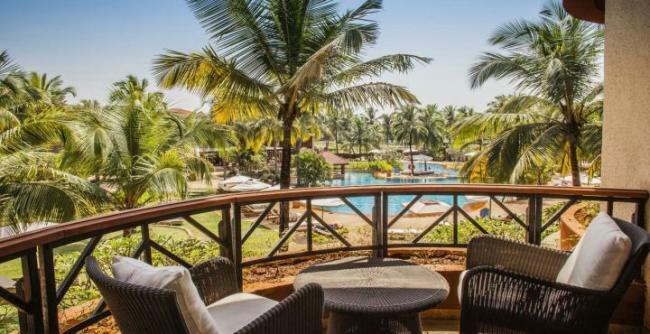 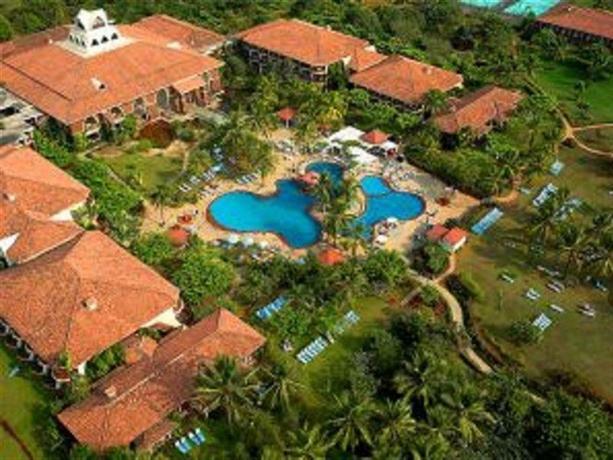 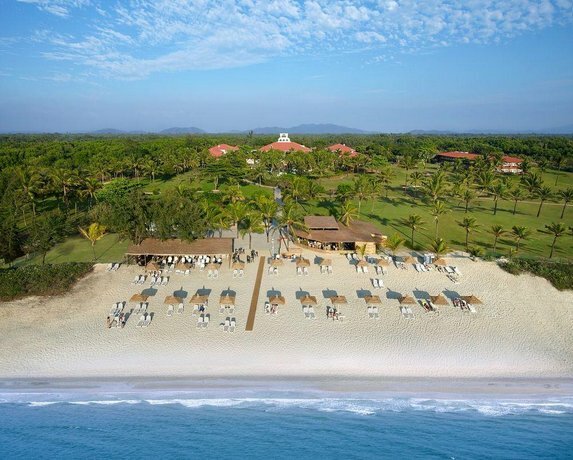 Nestled on the serene sands of Varca Beach, Ramada Caravela Beach Resort is a 5-star property, spread over 24 acres and has 199 rooms, which are categorized as Garden View, Pool/Ocean View and Ocean Front, Deluxe Suites, Family Villa and Presidential Villa. 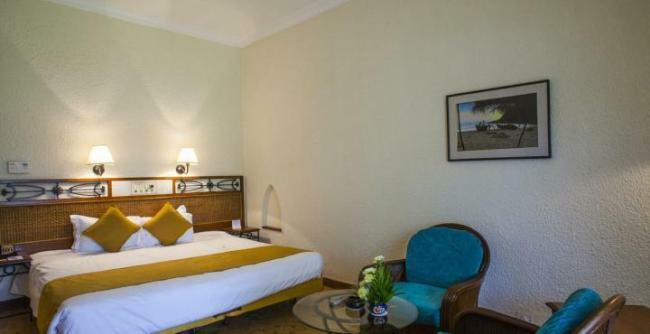 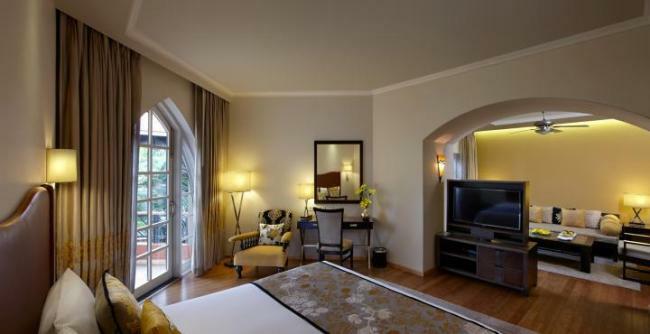 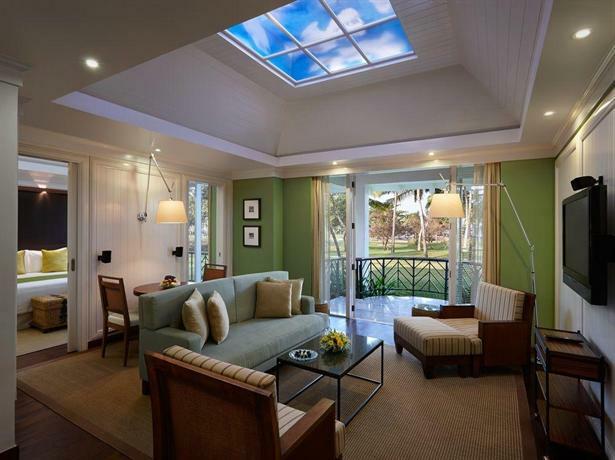 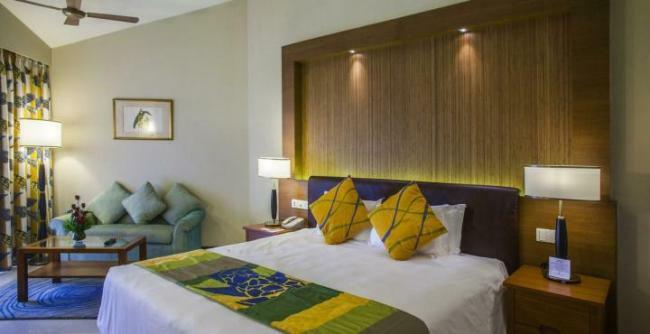 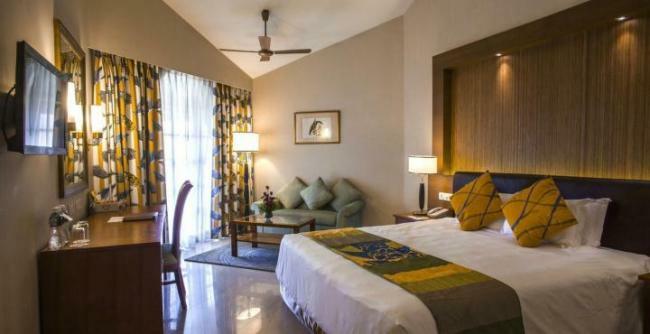 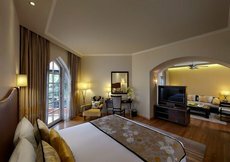 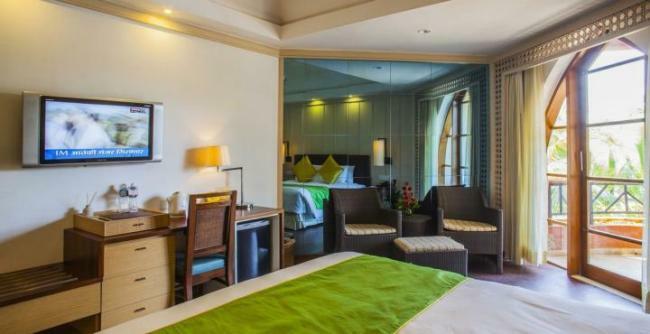 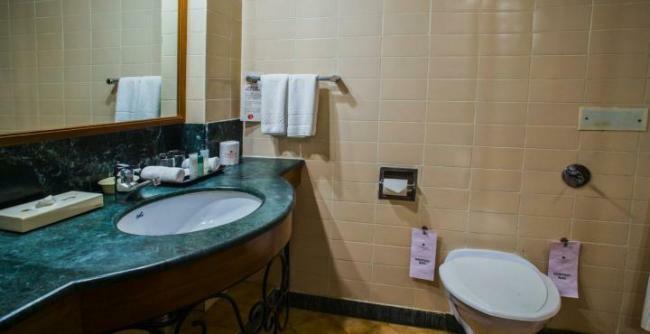 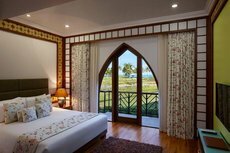 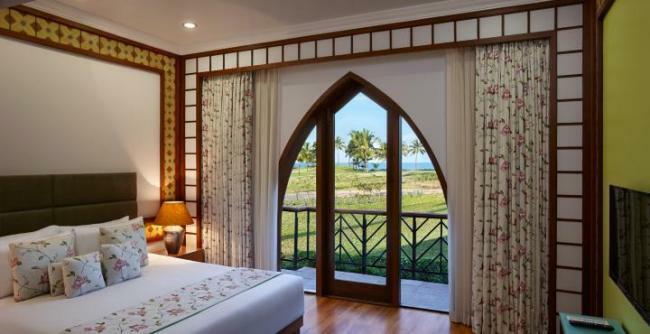 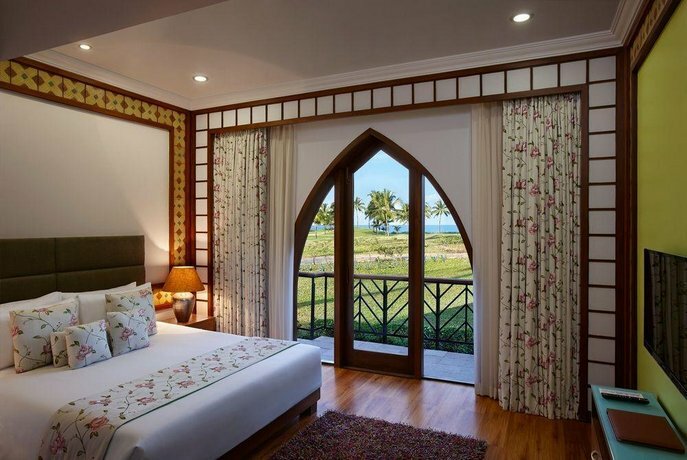 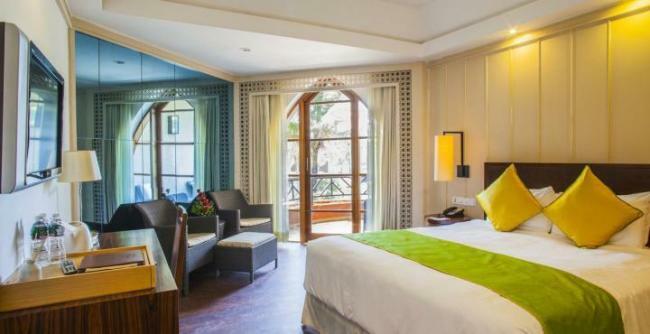 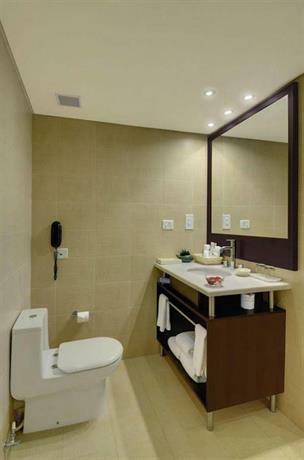 All rooms have individual controlled air-conditioner, private bath with shower and bathtub, LCD or LED televisions, mini bar and tea/coffee maker. 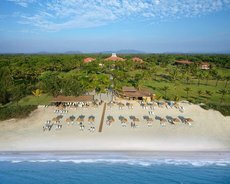 Some of the nearby beaches from this resort are Varca Beach, Sernabatim Beach and Carmona Beach. 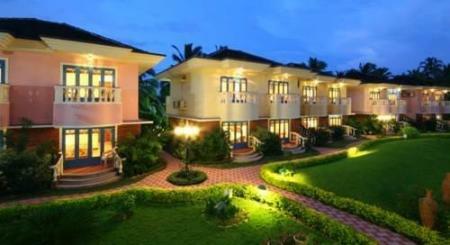 Dabolim International Airport is 30 km and Margao Railway Station is 10 km from the beach property. 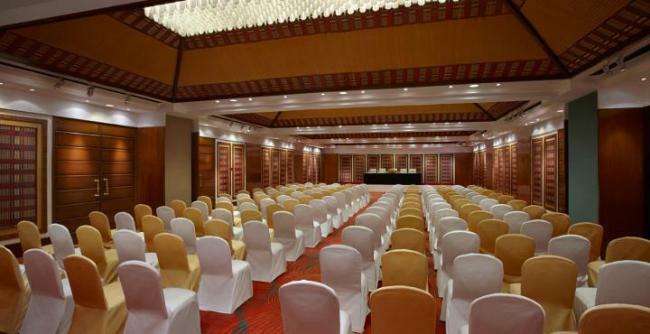 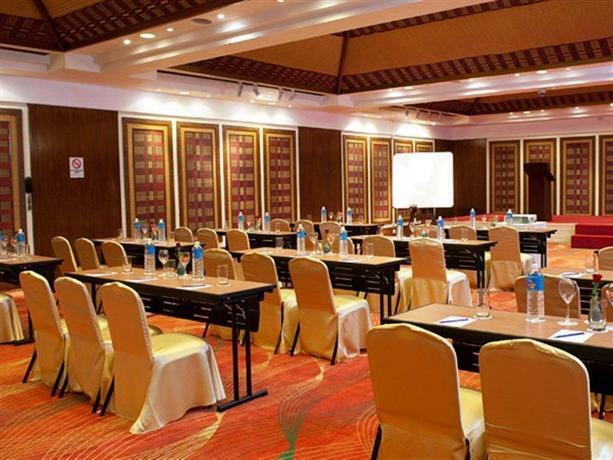 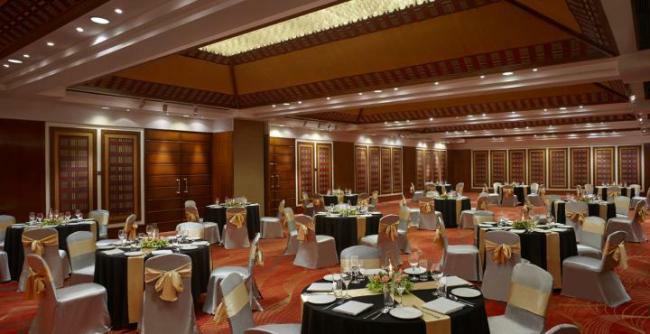 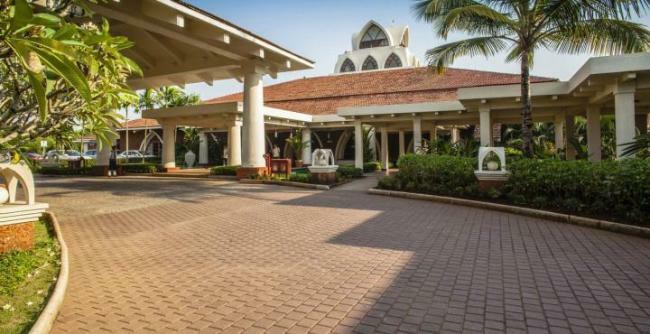 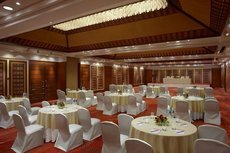 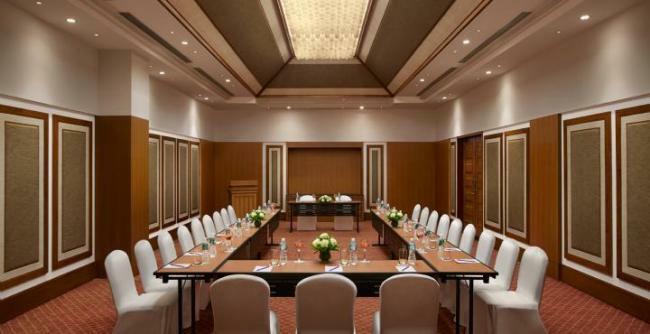 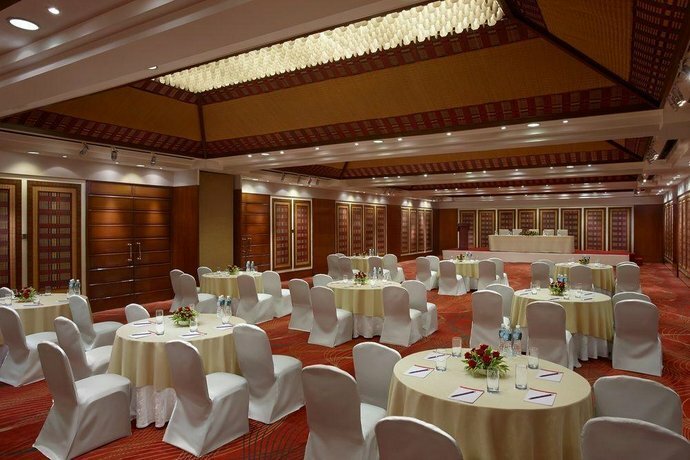 For conference, seminar, meetings and events, it has a spacious conference hall that offers above 4500 sq ft of indoor space and 7000 sq ft of outdoor space. 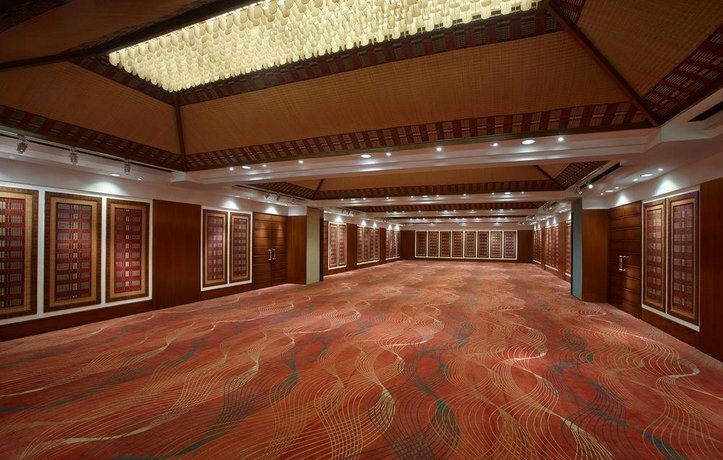 The hall is featured with amenities like internet connectivity and state-of-the-art audio visual equipment. 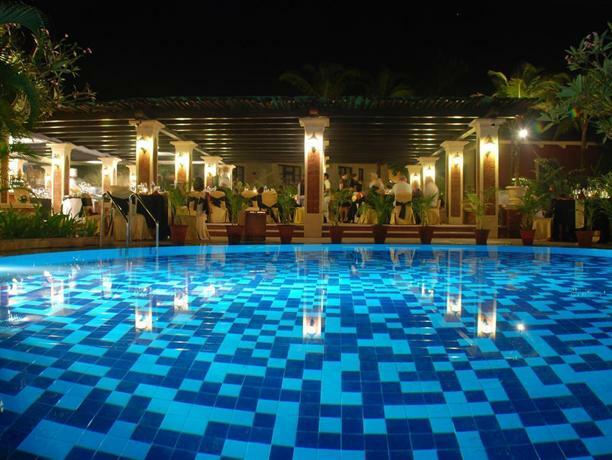 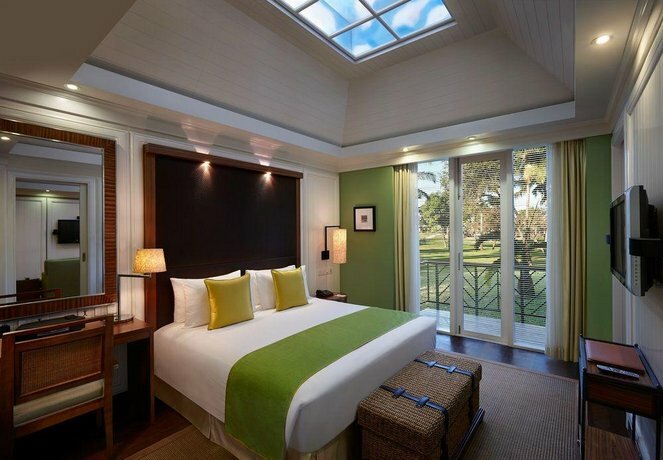 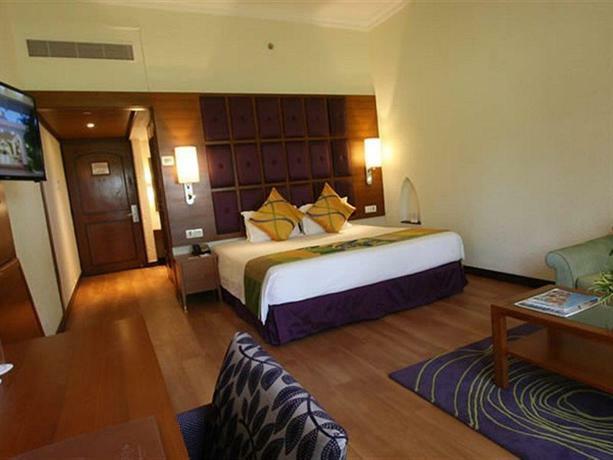 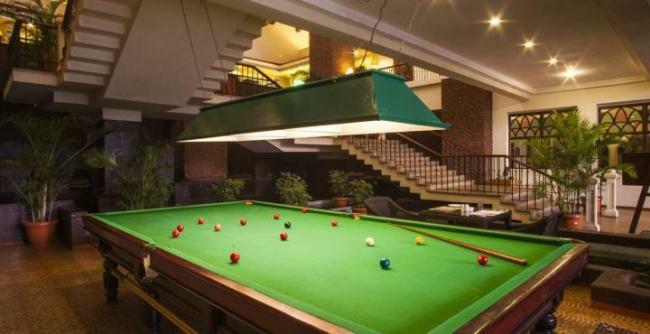 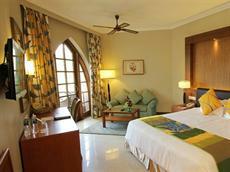 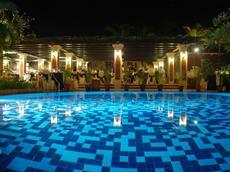 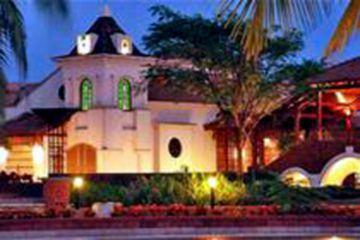 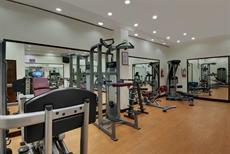 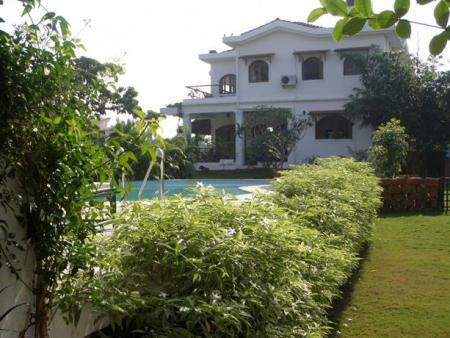 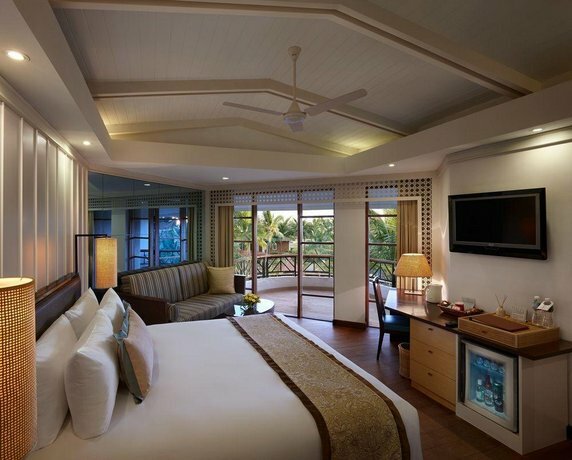 The resort has yoga, Ayurveda treatment and fitness centre for recreation. 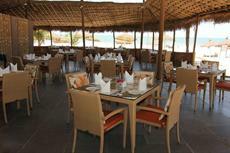 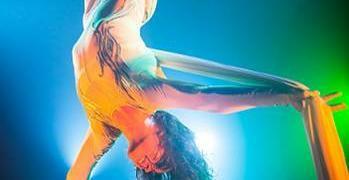 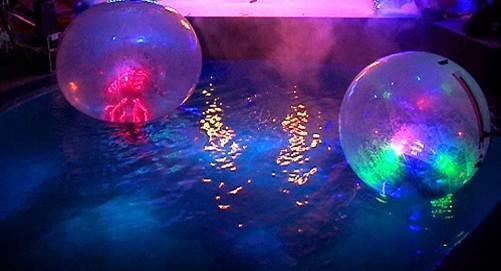 It also offers activities like water sports, dolphin tours, beach activities, and indoor and outdoor games. 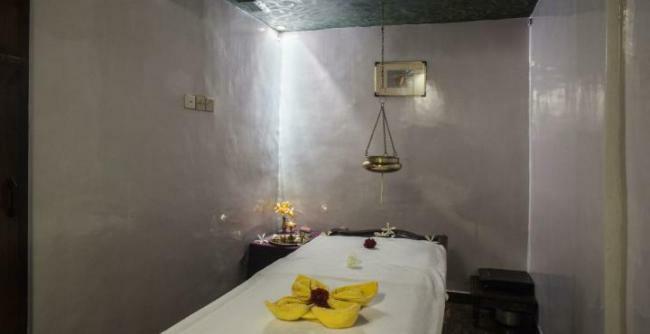 In-house health club and Ayurvedic centre offers a wide variety of treatments and traditional massages to pamper the mind, body and soul and rejuvenate oneself. 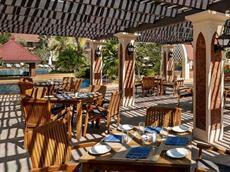 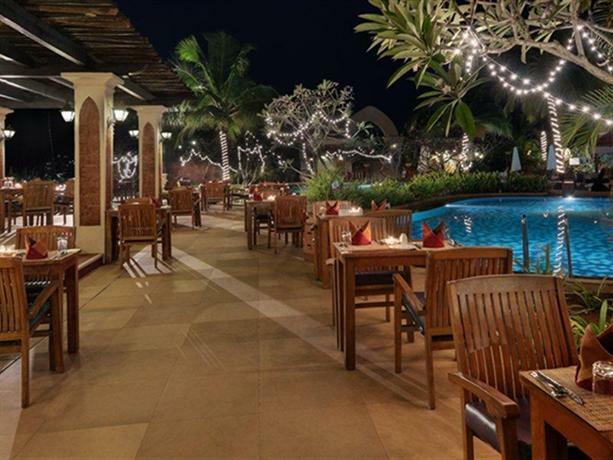 This resort is delight for epicureans as it houses several dining establishments. Surf n Turf dining option Carnaval dishes out enticing sea-foods and offers international wines. 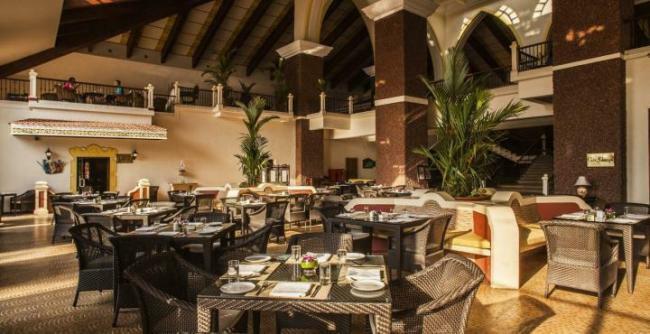 Cafe Cascada is in-house coffee shop while Lanai Lounge serves buffet breakfast, lunch and dinner. 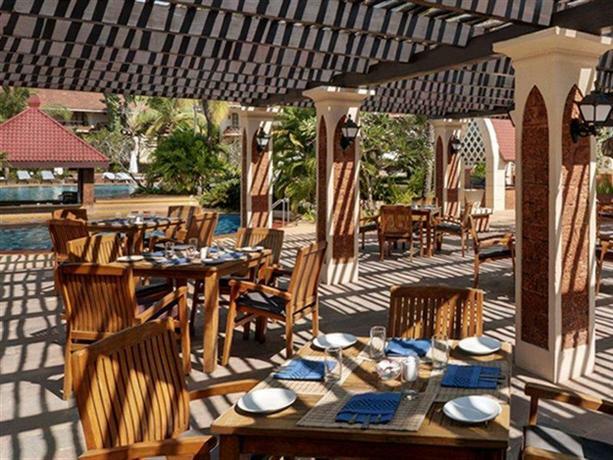 Poolside restaurant Castaways offers light snacks and beverages. 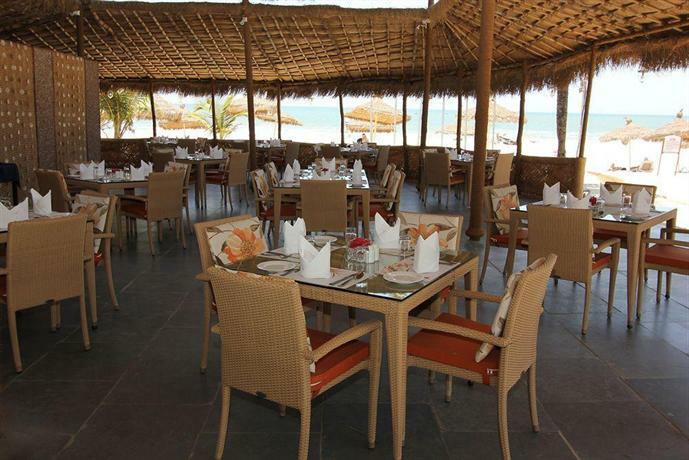 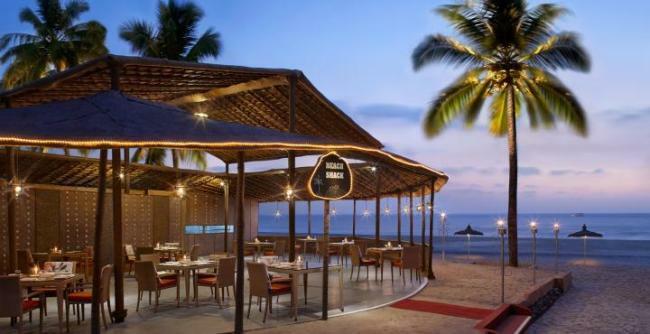 To savor fresh seafood, grills and Chinese cuisines, head to restaurant Beach Shack. 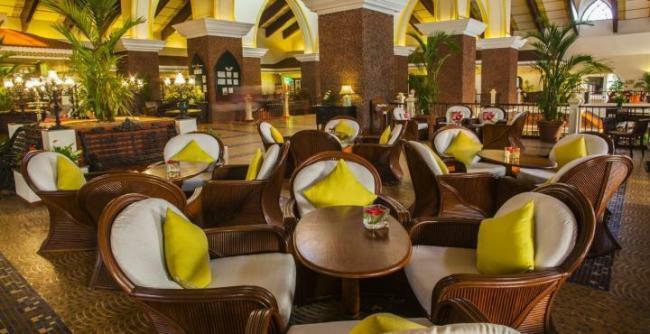 Atrium Bar is always well-stocked with fine selection of wines and spirits. 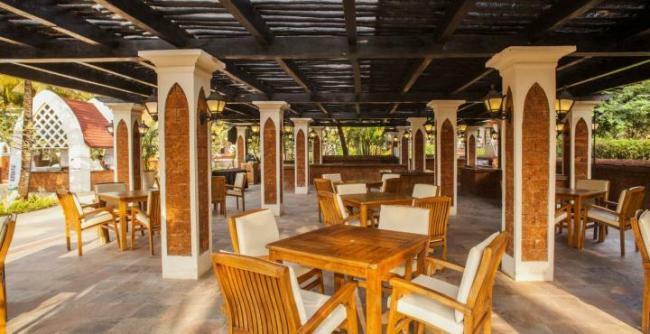 Island Bar serves cocktails, chilled beer and other refreshing beverages. 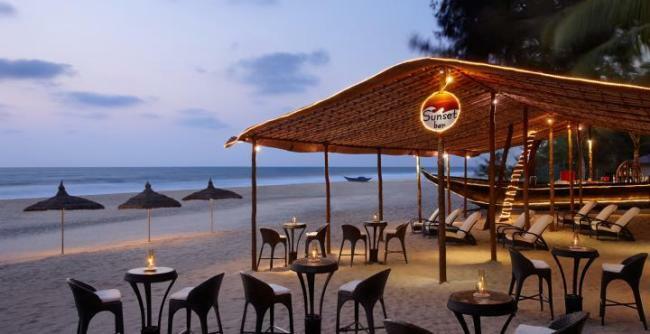 Sunset Bar offers cocktails with spectacular view of the sunset and the beach. 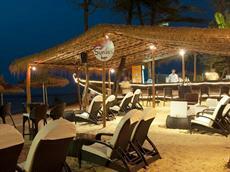 Enjoy beach sports at the Varca Beach or experience thrilling gambling sessions at the in-house casino - Goa Nugget! Note: The in-house Casino - Goa Nugget will not be operational.